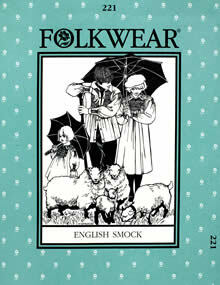 A truly universal garment worn by shepherds, butchers, bakers, farmers, and other rural laborers in Old England. Today, smocks are favored by fashionable people everywhere and made out of every fabric imaginable. 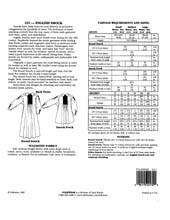 Long and short versions can be hand-smocked or mock-smocked"" by machine with elastic. Children's 2-12; Misses 6-20; Men's 30-42."